Auspicious date to worship Lord Kubera is between Oct 15th Nov. 15 (Tamil Month Iyppasi). Thursday is the most auspicious day with PUSASTAR. He faces Northern direction. Those who offers day Pooja to Lord Kubera he stays in their feature respective houses. Combination of the mentioned is very very rare so, which every occurs, by placing Lord Kubera's photo with proper Yantra by placing in Northern direction, do the pooja for 48 days with the following Mantra daily 108 times with proper Naivedhyam to achieve the goal. SLOKA:	Om Hrim Yakshaaya Kuberaya Vaishravanaaya Danadaanyathi Pathayae Danadaanya Samruddhimmae Daehi Tapaya Swahaa Om Yaksha Raajaya Vidmahae Alakadiisaya Dimahi Tanno Kuberappracodayaat. As the God of wealth and material, his responsibilities are to distribute them while creating wealth is with Goddess Lakshmi. Kubera is mostly painted with his family and seen showering gold coins and navaratnas. Performing pooja to Lord Kubera is believed to enrich one's life. 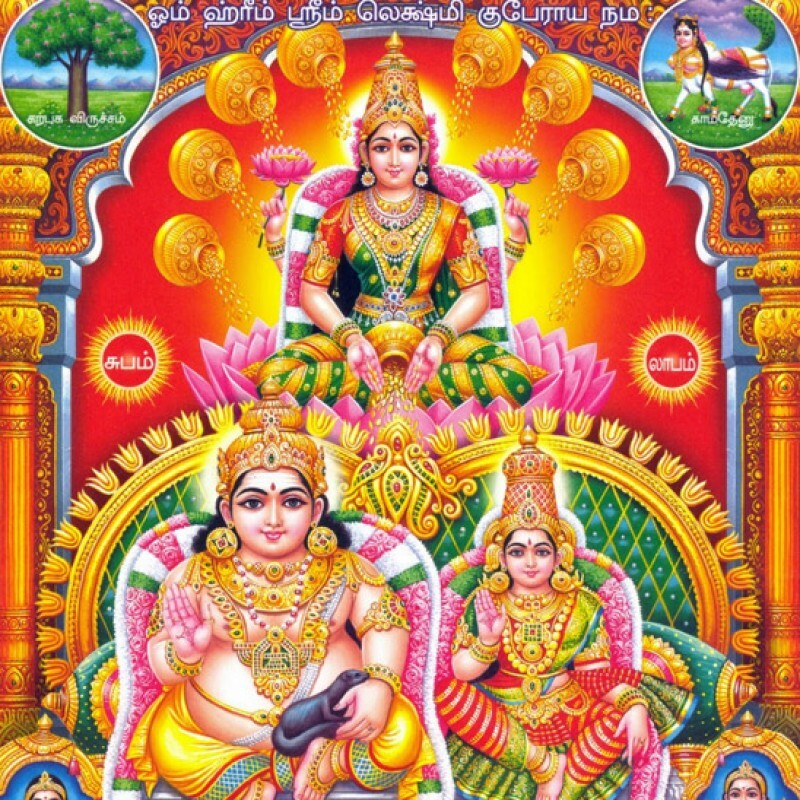 To have a wealthy and comfortable life, one has to perform Sri Lakshmi Kubera Pooja.